At least one person was killed during a shooting at a mall in North Carolina on Christmas Eve, according to local media reports. 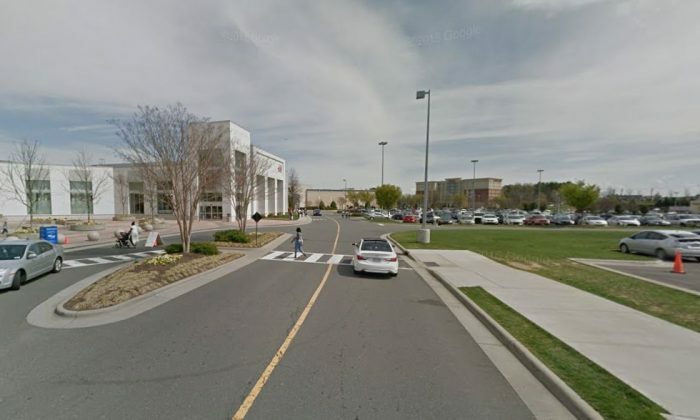 An active shooter was reported at the Northlake Mall in Charlotte, North Carolina, on Thursday. According to the Charlotte Observer, three people were being treated, including one with a leg injury, another with a leg injury, and another person who had an asthma attack. There were rumors on Twitter and in local media reports that rapper Donkey Cartel was the suspect. A graphic image was being shared of the suspect laying facing down with his white T-shirt covered in blood. Police have not yet announced the shooter’s identity. An altercation in a store at the mall led to the shooting. A group of people “ganged up” on a man, Shauntelle Hamrick, the manager of the Journeys shoe store, told CNN. In the fight, a person pulled out a gun and a friend of the man was shot. “It was just pure pandemonium, just the frightening look on people faces made me realize this is something serious,” a Macy’s worker at the mall told WBTV. The station reported that a police officer inside the mall shot and killed the suspect. Witnesses told WSOC-TV that police confronted the gunman and told him to drop his gun, and when he didn’t comply, they shot the suspect.